This Chinese character is made up of a combination of two characters. On the left is the word for “purity”, on the right is the phonetic meaning “competition” through depiction of two wrangling hands. The word for “purity” also implies clarity and transparency and by extension, here it means that the competition on the right is diminished to nearly nothing. This is the word Tao. 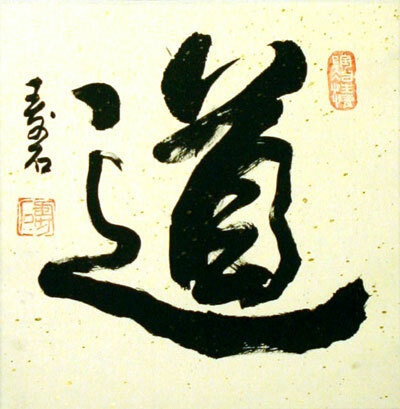 The character depicts a person traveling on a boat in a journey.